1> Fast action:Â we will reply client inquiry within 1 hour. We have 1 to 1 special service for each client.let client control each step of order.Base on our service,you can sleep well. 3> Good quality:Â we have own professional quality control team, make sure the order qualityÂ is complete good before shiping.Let client never worry about quality of our outdoor waterproof pvc raincoat. 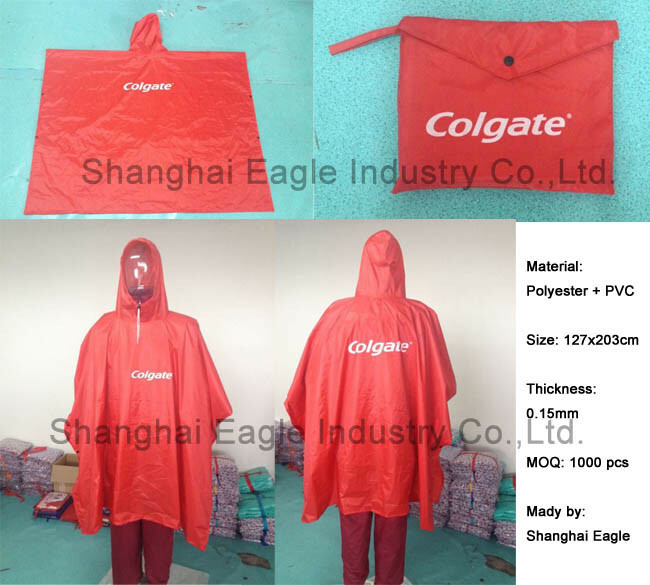 4> Compaetitive price:Â we cant say our price is lowest,but we can say ourÂ outdoor waterproof pvc raincoatÂ price is what clientÂ need,base on our support,you will get more! 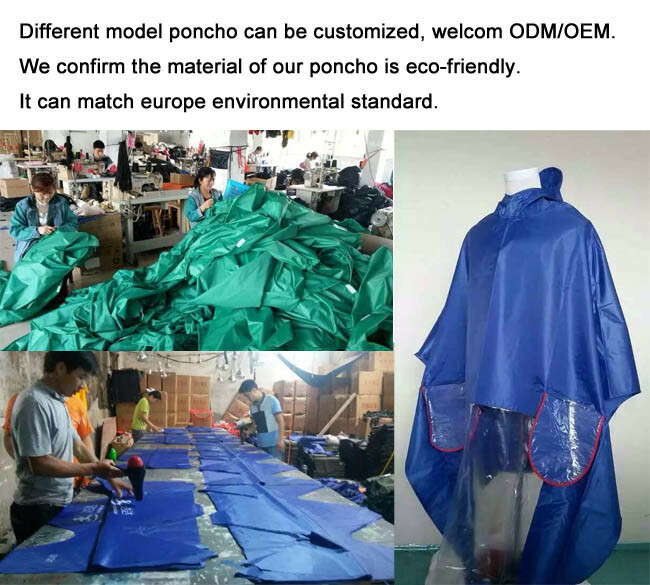 5> Small quantity order:Â we accept small order poncho raincoat, also keep lower price for anyÂ outdoor waterproof pvc raincoat. 6> Cheap delivery:Â We have big discount with forwarder,keep yourÂ outdoor waterproof pvc raincoatÂ reach your side fast and safety. We confirm the material of our waterproof pvc raincoat is eco-friendly. It can match europe environmental standard. 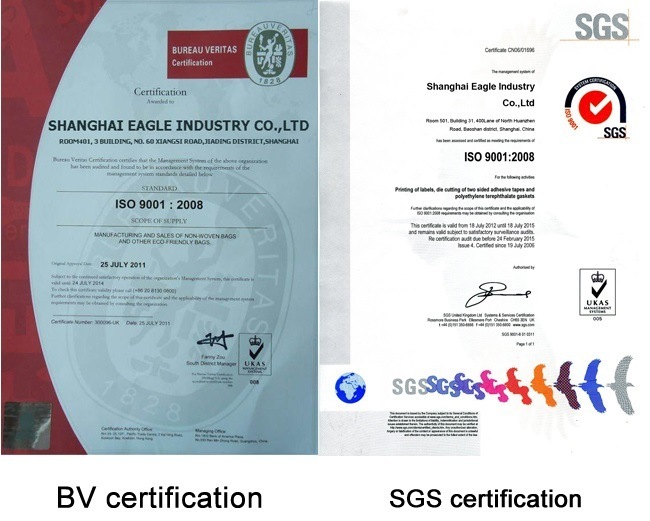 Our factory have passed Germany TUV certification, France BV certifcation and SGS certification. Welcome you visit our factory. If you are interested with our waterproof pvc raincoat, just feel free toÂ contact with us.Â WeÂ are happy to assist any your further questions, request or suggesions you might have.